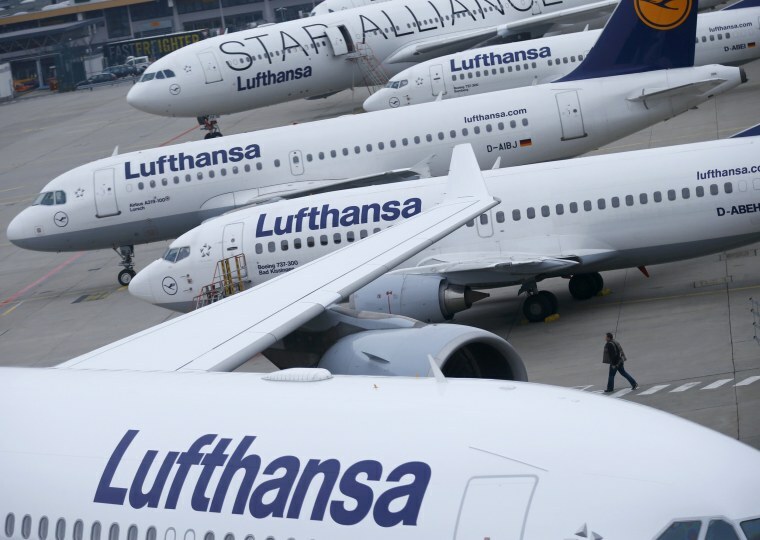 BERLIN — A Jordanian-American male passenger was restrained by crew members on a Belgrade-bound Lufthansa flight on Sunday after fumbling with the emergency exit door, a spokesman for the German carrier said. The man, a Jordanian with a U.S. passport, kept changing seats after takeoff and started tampering with the emergency exit door about one hour into the flight from Frankfurt, the spokesman said. But crew members and passengers managed to restrain him and the man kept calm for the rest of the flight, he said. "There was no threat to the safety of the flight," the spokesman said, adding that the man was arrested by Serbian police after the LH 1406 service landed on time in Belgrade. Belgrade police didn't return calls seeking comment.